Michael “Mitch” Taylor, 70 of Amarillo, Texas passed away on Friday, February 8, 2019. Mitch was the second of three children born on December 27, 1948, in Chicago, Illinois to the late Clarence and Ella Mae Hodge Taylor. He grew up in Pembroke, Illinois, and graduated from Saint Anne High School prior to joining the United States Marine Corps and becoming a Vietnam Veteran. Following his military service, Mitch attended Weatherford Junior College. He was later recruited by the Amarillo Junior College basketball coach and became a member of the Amarillo Junior College Badgers. After more than 30 years, Mitch retired from International Paper Company in Amarillo, Texas where he was a General Foreman. 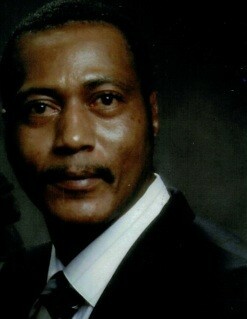 He leaves to cherish his memories, his wife, Twanda Taylor, three daughters, Tanaka Taylor, Alexia Taylor, and Ondrea (Sigmund) Gilbreath, two grandchildren, Sigmund Dai Gilbreath and Sonieya Gilbreath, two sisters, Beverley (Ted) Harvey, and Madeline Taylor, two nieces Ayana (Glenn) Ellenwood, and Breanna (Julius) Adams, two nephews, Theodore (Naja) Harvey, Jr., and Martin (Jessica) Harvey, four great-nephews, five great-nieces and a host of cousins and friends. Mitch’s family would like to express their sincere gratitude and appreciation to Dr. Ron Rankin, Carisa Sullivan, and to every member of the staff at the Amarillo Veterans Affairs Health Care System Community Life Center where Mitch was shown extreme respect and received exemplary care. He will be missed by all who knew and loved him.